North and South Korea share a language and a peninsula, but in the 60 years that they’ve been divided, they’ve become two very different countries. 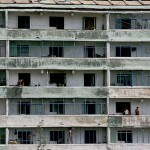 While capitalist South Korea has become an industrial powerhouse and a leader of the digital revolution, communist North Korea remains an isolated, largely agrarian society. This slideshow compares daily life in the two countries. Click on any image to begin. 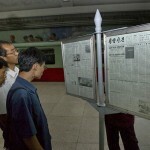 Men read the news from a billboard at a train station in Pyongyang, the capital of North Korea. 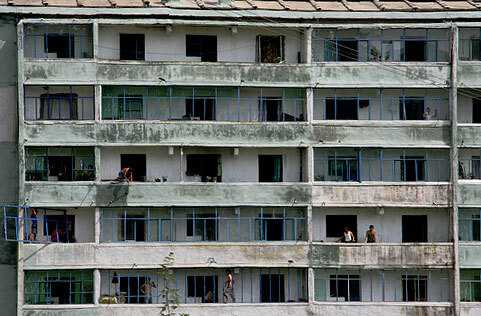 The flow of information in North Korea is strictly controlled by the government -- the country has four official newspapers, all government run; radio and television sets are wired to receive only government stations, and the public has no access to the internet. 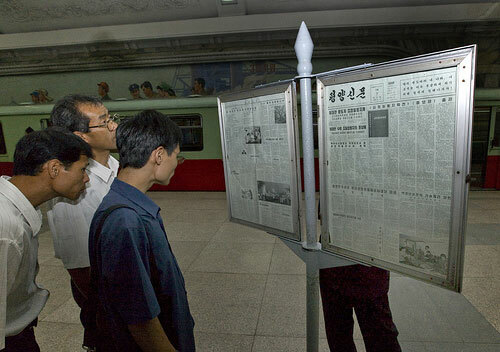 Men read newspapers on the subway in Seoul, the South Korean capital. South Koreans can choose from more than 100 daily newspapers, but most get their news online. 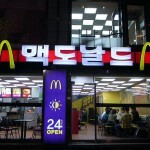 South Korea is one of the most connected nations on earth – 97 percent of households have high-speed internet. 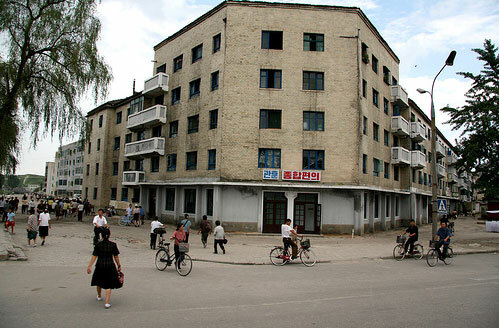 An apartment building outside the border city of Kaesong. Portraits of North Korean leader Kim Jong Il and Eternal President Kim Il Sung hang in every home and office in North Korea. 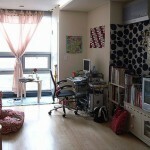 An “officetel” in Seoul. 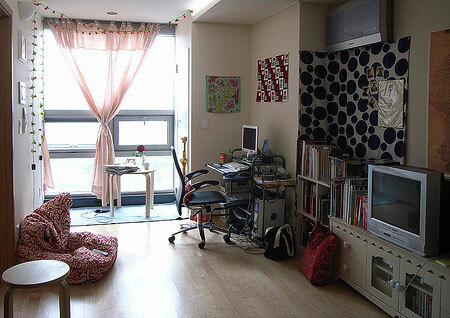 These hybrid work/live spaces are located in office buildings but are furnished like apartments, so that workers have a place to sleep if they need to work late. Some people use their officetel as their primary residence. 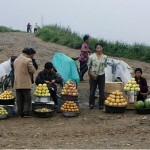 Produce is sold by the side of the road at this rare private market in North Korea. 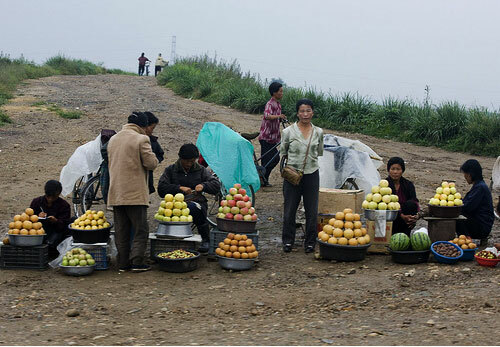 The country suffers from widespread food shortages, leaving 8.7 million people reliant on food aid. 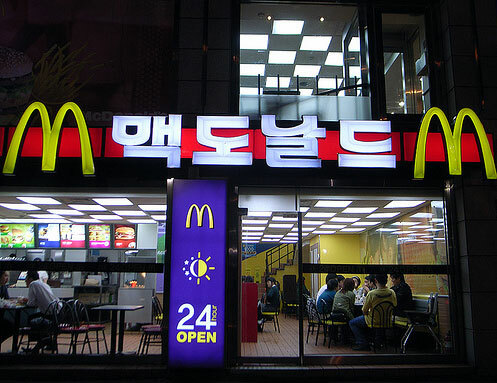 Residents of Seoul can enjoy a Big Mac at McDonalds 24 hours a day. 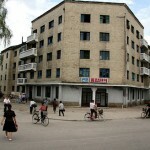 People walking and cycling in Kaesong. Private cars are extremely rare in the North – about one in every thousand people has access to one. 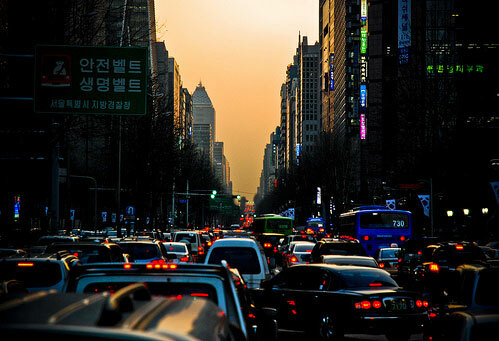 Rush hour traffic in Seoul. 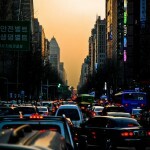 South Korea is the world’s fifth-largest car manufacturer.